A 2010 Bellevue dog-bite case has led to a 52-year-old Bellevue man being placed on probation for three years for felony possession of marijuana. Defendant Douglas C. Rhoades has already appealed the case to the Idaho Supreme Court, claiming that police violated his constitutional rights when they searched his home for proof of rabies vaccinations for two dogs and found a stash of marijuana. Rhoades was sentenced Tuesday in Blaine County 5th District Court as the result of an incident dating to Oct. 10, when a man and his 9-year-old daughter were bitten by two dogs running at large in Bellevue. The animals were traced back to Rhoades' home. The Blaine County Sheriff's Office reported that Rhoades was uncooperative in dealing with police on the matter, so a warrant was obtained to search the premises. Ultimately, police determined that neither of the dogs had rabies. However, police reported, in the course of their search they discovered 3.6 ounces of marijuana and paraphernalia used for smoking the drug. 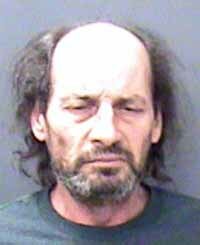 Rhoades was arrested and charged with felony possession of marijuana and misdemeanor possession of drug paraphernalia. After the case found its way into 5th District Court, defense attorney Douglas Werth argued unsuccessfully that the search of the home was illegal because the search warrant was based upon incomplete or inaccurate information supplied by police. In January, Judge Robert J. Elgee removed himself from the case after he discovered that the marijuana case and the dog-bite situation were one and the same. The judge stated then that he had earlier heard information about the dog bites outside of court. The case was assigned to Judge John K. Butler, who normally presides in Jerome County. In a plea agreement, Rhoades pleaded guilty to the felony in March in exchange for dismissal of the misdemeanor charge. Butler on Tuesday sentenced Rhoades to four years in prison but then suspended the sentence and placed Rhoades on three years supervised probation instead. He also imposed a fine of $500. According to court records, Butler declined, because of Rhoades' medical condition, to impose a 30-day jail sentence as requested by the Blaine County Prosecuting Attorney's Office. A notice of appeal to the Supreme Court was also filed Tuesday. The appeal asks the Supreme Court to determine if the search of Rhoades' home violated his rights under the Fourth Amendment of the U.S. Constitution.